Turn left onto Southwood Road & continue for 0.6 miles. Turn left onto Creek Road & continue for 0.1 miles. Turn right onto Sandy Point Road & continue for 180 feet. 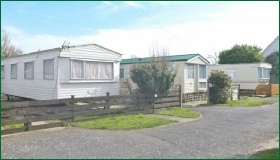 Seagull Caravan Park is on the left hand side. The pitch fees for the 2019 season are £1,904. They comprise: Pitch Fee (£1,312.00), 20% VAT on Pitch Fee (£262.40); Rates (£175.40); Water & Sewerage (£99.27); and 20% VAT on Rates, Water & Sewerage (£54.93). Discounted £1,844 (a discount of £60 is offered to customers who pay the pitch fee in full before 1 January 2019). Full £1,904 (payable in two instalments of £952 on or before by 1 January and 1 July 2019 respectively). Direct Debit (eight monthly instalments of £238 from 1 March to 1 October 2019 inclusive). 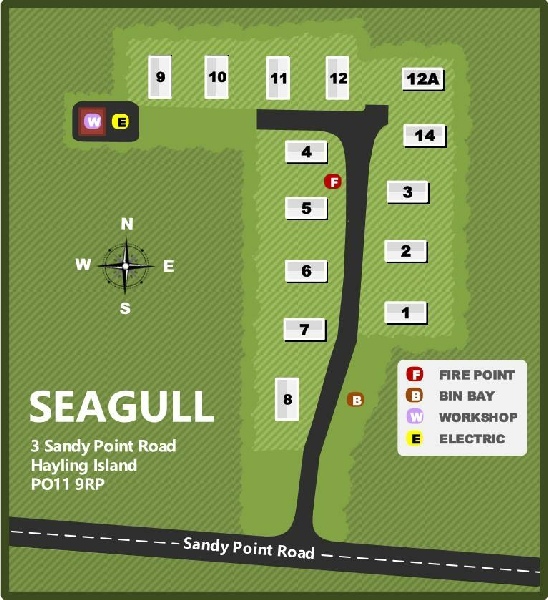 With just fourteen pitches, Seagull is one of our smallest parks. It is hidden away in south east Hayling, a short walk away from both the beach and Chichester Harbour. Customers can pay an additional fee of £195 to extend the season to 31 December.